With these appropriate words from the great Nelson Mandela, an orientation program was organized at K.R.Mangalam World School, Paschim Vihar for parents of Pre schoolers on 24th March 2018. The goal behind the orientation was to ensure positive atmosphere for learning as well as building up a healthy relationship between the parents, teachers and students. The program begin with lightning of lamp along with the inspirational speech of the principal, Ms.Meenu Kanwar, who welcomes the chief guest and parents. 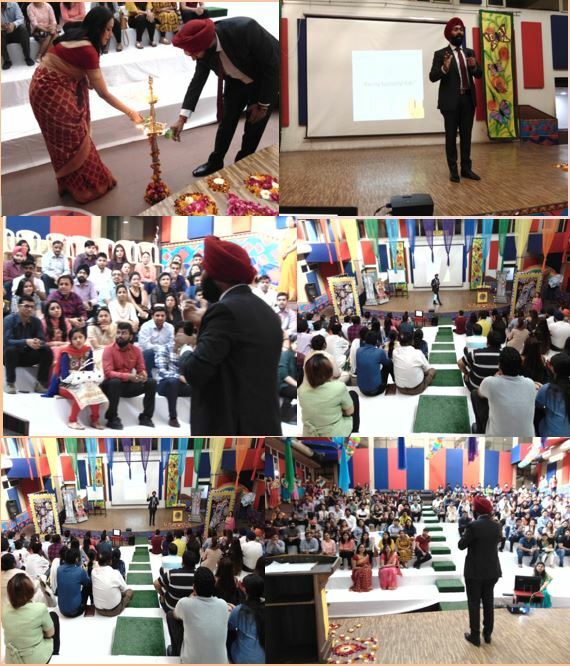 The guest of honor, Mr.Kamalneet Singh a professional in psychology and certified NLP practioner from American Society of NLP graced the occasion through his experience. He has a rich experience in motivating people on various aspects of life and has a deep understanding of communication at different level.He had an interactive session with parents on various parenting tips which indeed was a fruitful session for our parents. Lastly, the preschool Class teachers introduced themselves. Parents cleared their queries regarding their child with their respective teachers which lead to their deeper understanding into the working of the school.